Looking to get more involved within Ad Society? Apply for one of our many director positions today! Ad Society has a total of 24 positions to fill for the upcoming year. Becoming a director molds a pathway to be well-versed in the organization and the J-School itself. Each team consists of a director and an assistant director. The application will ask you to name your top three desired positions in order. Following the application submission, you will be asked to schedule an interview with our newly selected e-board. Make sure to submit your application before 11:59 p.m. on April 12th! Below is a description of each director position so member applicants can figure which position they’d like to apply for. What you see here, is what we do. 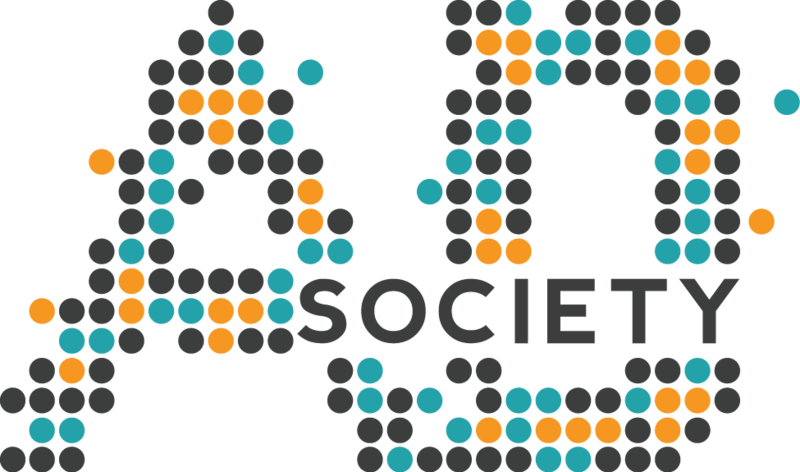 The blog directors are responsible for planning and creating content for Ad Society’s blog. Our blog is updated twice a week, featuring new articles every Wednesday and Friday. Blog topics usually include anything Ad Society related, pop-culture references, and the features of the advertising industry. This is a rewarding opportunity especially for those with a passion for writing. Our digital creative directors oversee everything digital. They are tasked with creating and designing the website, taking pictures for social media, and creating promotional video content for Ad Society throughout the year. The ICON is Ad Society’s newsletter that is designed for each bi-weekly meeting. It includes information about the meeting’s guest speaker and our member spotlight of the week. Printed on the back page of the icon is a calendar that displays many of Ad Society’s upcoming events. Both director and assistant director work together on designing, printing, folding and distributing the ICON. Internal productions are responsible for all the collateral material needed for Ad Society. You have to be skilled in the Adobe Creative Cloud specifically, InDesign and Illustrator. This role is heavy on time management due to all of the designs needed for the Ad Society events. Make sure to put together a portfolio to apply! Our memberbiz team is responsible for member outreach within Ad Society. 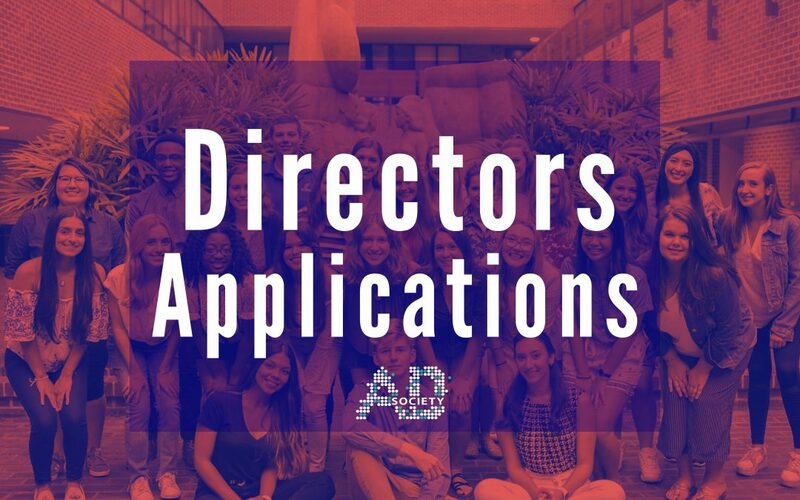 In this role, you’ll be in charge of updating our members with the latest Ad Society information, along with organizing the Rookie/Guru program. Our public relations team makes sure the word gets out. Everything you see posted on our social media outlets (Instagram, Twitter, and Facebook) is all done by this team. In this position, you’ll be putting your digital strategy knowledge to the test to make sure Ad Society is being promoted across all platforms appropriately. Being on the AdServe directors team awards you with the opportunity to assist in planning our service events we attend throughout the year. The biggest event that we are tasked with planning and hosting is Ad Dash. Ad Dash is one of Ad Society’s largest events throughout the year and provides members with the opportunity to work with real clients and add to their portfolio. The director and assistant director of event planning work together to organize the incredible socials/events Ad Society hosts throughout the year. Responsibilities of these positions require the directors to leave general body meetings 15 minutes early to prep the social following the meeting. The most prominent events this team arranges are the Halloween and Christmas parties, two Ad Council socials, and our end-of-the-year banquet. As Diversity director, you will be responsible for promoting diversity within Ad Society and the College of Journalism and Communications by participating in the Diversity Task Force. You will be in charge of making members feel welcome and putting on a variety of diversity inspired events such as potlucks and tabling events. Our Elevate director is responsible for managing our in-house agency, Elevate. In this role, the director finds new clients for Elevate and make sure existing client relations run smoothly. The director is required to attend weekly Elevate meetings along with regular director meetings. The Elevate director also interviews new candidates for the Elevate team in the fall. Our speakers directors team are the ones who contact and invite our designated speakers for our Ad Society general body meetings. Taking up this role requires you to contact advertising professionals from all over the U.S. It’s a beneficial networking opportunity as you get personally speak with these potential speakers. Being a part of the trips directors team allows you to select and organize our Ad Society trips. These are the trips we take throughout the year to visit and tour agencies. In total there are four, two every semester. One is always within Florida and the other is out of state. This position will require you to help choose a destination and reach out to agencies, organizing our itinerary while we are there.